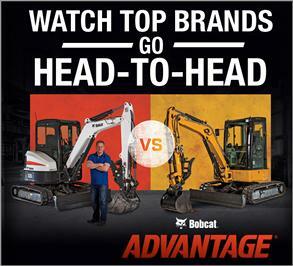 Purchasing new Bobcat® equipment, such as compact loaders and excavators, has its obvious advantages. For some, it’s having the satisfaction of being the only owner and knowing the machine has been properly maintained. For others, it’s getting the latest technology. But, buying new equipment may not be right for you. Depending on your business needs, you may want to consider pre-owned compact equipment. It can be an affordable option if you are looking to increase your business opportunities or want the maximum impact from your financial investment. 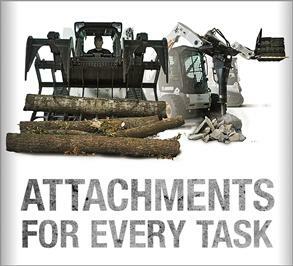 Like any purchase, buying pre-owned compact equipment is not a decision to take lightly. Before you decide, ask yourself the following questions. Who is the equipment seller? First, and most importantly, make sure you find a reputable seller. You can start the process by checking with your local equipment dealership to see if they have pre-owned equipment available. They may have deals or offers available at different times of the year. Rental companies are another source for purchasing pre-owned equipment. With a recent boom in the rental industry, rental companies tend to keep new equipment in stock and will often sell them. You may want to search via the internet, auction websites and newspaper or trade publication classified sections. Always research a pre-owned equipment seller just as thoroughly as you research equipment options before making a purchase. Next, consider the physical condition of the equipment. Make sure to complete a visual inspection before you make any agreements with the seller. Inquire whether the machine has been modified in any way from its original design that may affect operation and operator safety. Check for aesthetic issues like cracks, welds, rust and paint chips. Then, inspect critical components of the machine, such as the engine, transmission, air filter quality, fluid levels, pins, bushings and so on. 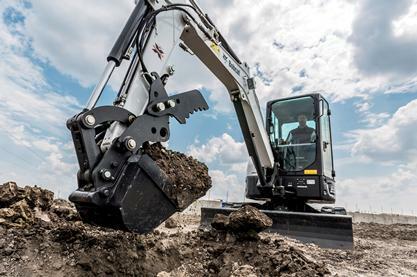 If you are purchasing a compact excavator or compact track loader, complete a full undercarriage inspection for excessive or uneven wear, as well as for damaged or missing components. 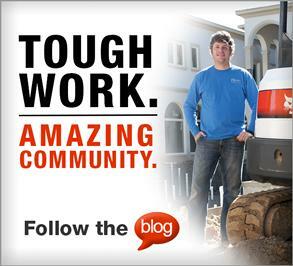 This may help you anticipate short-term and long-term maintenance needs for the machine. If possible, request a demo of the machine to look for obvious signs of mechanical or operational issues. In addition, check about the machine’s total operating hours, a record of maintenance history, manufacturers’ Operation & Maintenance Manual and any other machine documentation that may be available. If the seller is missing documents such as guides and manuals, you may be able to find PDFs online or check with your local compact equipment dealer. Is there a warranty on the machine? Before buying pre-owned equipment, check if it’s still covered under a standard warranty. For instance, Bobcat Company offers a 12-month standard warranty with unlimited hours of usage as well as a six-month replacement parts warranty if you purchase parts from your Bobcat dealership. Additionally, Bobcat Company offers a 24-month, or a total of 2000 hours of use coverage, whichever occurs first on skid-steer loaders, compact track loaders, all-wheel steer loaders and excavators. Engine emissions components are protected for three to five years, depending on your engine horsepower. Manufacturers also offer extended warranty options as well as service protection plans to help minimize the costs of unexpected equipment repairs. For all details on warranty options, talk to your local dealer. It can be tempting to cut costs with lower-priced alternatives, but with today’s emission regulations and sophisticated treatment systems, cheaper options can cost you more in lost time and revenue than using genuine original equipment manufacturer (OEM) parts. Dealerships stock OEM parts and often carry a warranty that can help protect the overall value of your pre-owned equipment. Using genuine parts helps extend the life of your machine, but will also give you the peace of mind that your equipment will continue to function properly. Who will service your machine? Finally, consider who will be supporting and servicing your pre-owned equipment. In many cases your dealership should be able to perform many routine maintenance tasks on pre-owned equipment. Check with your dealership first to make sure the equipment can be serviced in its “as purchased” condition. Dealerships have trained technicians with access to the latest information, resources and tools to service pre-owned equipment. They know what to look for and have the proper training on the latest emission standards, how to calibrate the machines and check diagnostics with tools and software that is typically not available to customers. Utilizing your dealership is not only appealing because it may be the least-expensive option, but also because it can be the most convenient and can reduce downtime. Buying pre-owned equipment can make an enormous impact if you are budget-conscious and in need of additional equipment. By asking yourself these questions, you can find out if pre-owned equipment is right for you and your business.